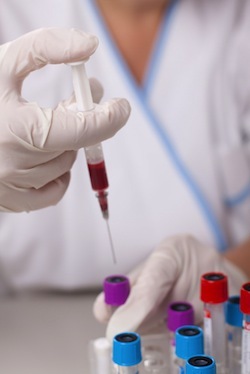 Researchers from the Center of Thrombosis and Haemostasis at Naestved Hospital in Denmark recently published a study in the journal Phlebology. According to the study, patients with previous medical history of deep vein thrombosis (DVT) during pregnancy are unlikely to suffer a recurrence of DVT in subsequent pregnancies. The study followed 33 female patients previously treated for iliofemoral DVT. Treatment was delivered as CDT (catheter-directed thrombolysis). In some cases adjunctive stenting was also required and in other cases patients remained on blood thinners after pregnancy due to elevated risk for DVT recurrence. Forty-four singletons were born to the 33 women in the study. Tinzaparin was prescribed to 91% of patients and dalteparin to the remaining 9% of patients (thrombophylaxis). Nearly all patients managed pregnancy and delivery without issue – two fetal deaths were reported due to infection and fetal growth restriction. Source: Jørgensen M, Broholm R, Bækgaard N. Pregnancy after catheter-directed thrombolysis for acute iliofemoral deep venous thrombosis. Phlebology. 2013 Mar;28 Suppl 1:34-8. doi: 10.1177/0268355513477286.